Marine biologist Rachel Carson has been very much with environmentalists since her death in 1964. She haunts our consciences. 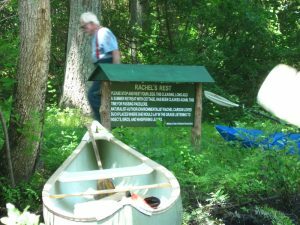 Ten years ago the Middleton Stream Team named a clearing for passing paddlers on the Ipswich River in her honor. Such giants, even in small bodies such as hers, linger on as spirits to guide us. Passages from Carson’s books about the sea, lyrical beauties published in the 1950s, are often quoted. She later came ashore in 1962 and laid on us a well-deserved rant called Silent Spring. In its angry pages she told how we Americans were poisoning wildlife, ourselves, soil, water, and air. Our president has asked us to “Make America Great Again.” Mid-last century our country was the world’s greatest polluter. China has now surpassed us. We continue to lead in C-footprint per person. Carson’s spirit still looks over our shoulders. 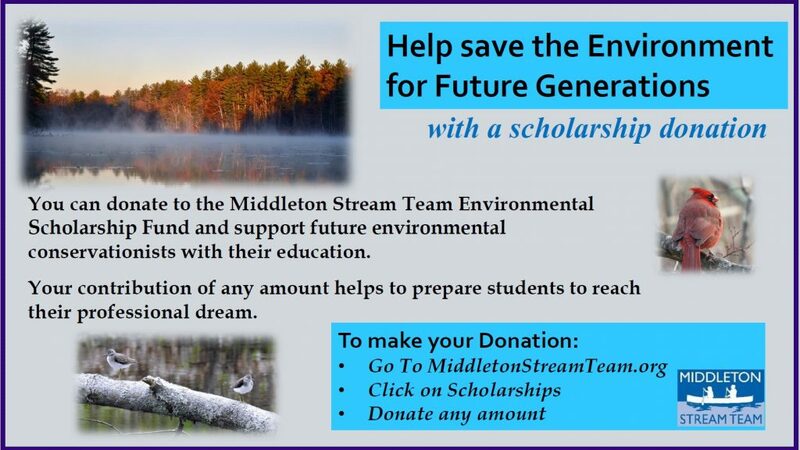 Let us truly become great as leaders in the areas of sustainable agriculture, in energy, and in habitat protection. The following review of a new book about Carson is from the September issue of “The Working Waterfront” published by The Island Institute, Rockland, Maine. The Stream Team has permission to use it. If you don’t know much – or even anything at all – about Rachel Carson, here is your chance. The library of America recruited the help of editor Sandra Steingraber in recently publishing a new retrospective on marine biologist Rachel Carson and her seminal role in jump-starting environmentalism in post-World War II America. 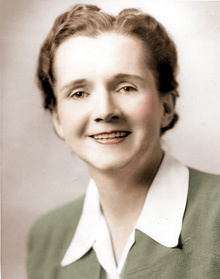 Rachel Carson: Silent Spring & Other Writings on the Environment is a 550-page anthology of Carson’s’ writings and her correspondence with colleagues and friends, prefaced by Sandra Steingraber’s analytical and biological insights. Steingraber explores how Carson used research to connect the dots linking cancer-causing impacts of even small doses of radioactive fallout from atmospheric bomb testing and the public health impacts of drifting farm herbicides and pesticides. Carson wondered, too, about the extent small traces of radioactive fallout could find their way to baby teeth of small children. She also wondered about the extent to which farm chemicals were tainting the milk of baby bottles. Curiously, she died in the spring of 1964 of complications of breast cancer. Posthumously, she was awarded the Presidential Medal of Freedom by President Jimmy Carter. Carson’s research-heavy expose of the health hazards of human exposure to pesticides and herbicides through food and drink as ubiquitous as apples and milk became a bestseller and popular radio and TV talk show topic. Public concern over the book’s call to arms resulted in the highly toxic dichlorodiphenyl-tricloroethane (DDT) being banned as a pesticide for both agricultural applications and the use as a pesticide fog actively embraced by urban America as a deterrent to mosquitoes. An immediate, well financed and carefully orchestrated effort to discredit Carson’s extensive research and its dire conclusions was undertaken by the chemical industry, including Monsanto and American Cyanamid, with the active support of the U.S. Department of Agriculture. That campaign included the not-to-worry, much-ado-about-nothing report published by the National Academy of Sciences, although its authors turned out not to be Academy members. Instead, they were associates of 19 chemical companies and four trade organization, including the National Agricultural Chemical Association. Carson once described herself as “a priestess of nature, a devotee of a mystical cult having to do with the laws of the universe, which my critics consider themselves immune to.” Having grown up in an Allegheny River town in Pennsylvania in the early 20th century, she split her time after college between her home in suburban Washington D.C. and a seaside summer retreat in Maine on Lincoln County’s Southport Island. Drawing on her expertise as a marine biologist; Carson wrote Under the Sea Wind (1941) and The Case of the Sea (1955), both books were well received by readers drawn to science. 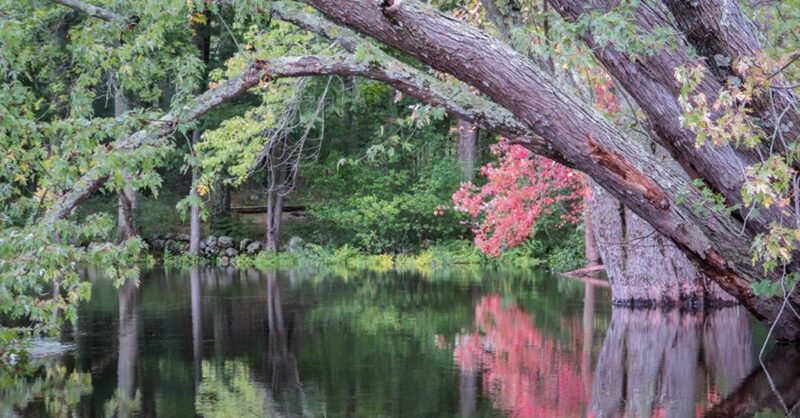 Carson was the founding chairman of the Nature Conservancy’s fourth state chapter in Maine. 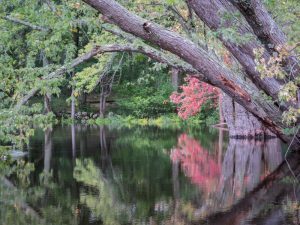 The Rachel Carson Wildlife Refuge now includes 5300 acres abutting shorelines between Kittery and Cape Elizabeth. As a science writer for many years, it’s not a stretch for me to suggest that Carson’s Silent Spring is arguably among the 20th century’s most significant books. Carson should have been awarded a Noble Prize, not only for her insights, but also for the impact her insights had globally over many generations. Unfortunately, in the early 1960s, being a bright-off-the-charts woman, a visionary, and a spinster wasn’t in vogue. * Tom Walsh is an author, journalist, and science writer. He earned his master’s degree in science communications from Dublin City University in Ireland in 2002. He now lives on the West bay in Gouldsboro.